Whether you Live in Hastings or Omaha, whether your Home is large or small here at Signature Iron Doors we have the door for you!!! We build your Custom doors exactly how you want them and ship them directly to you! 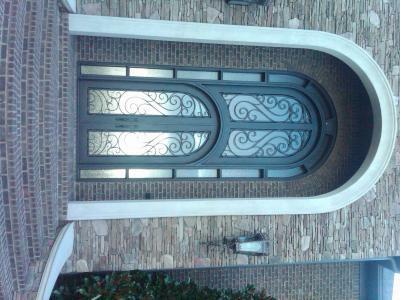 Signature Iron Doors wants to be your Wrought Iron Solution. From Iron Railings to Entry Doors to Garage Doors we want to be your choice!